Please rank the candidates in order of preference, from most preferred  to least . If you are unfamiliar with a candidate, please set the ranking to be blank. 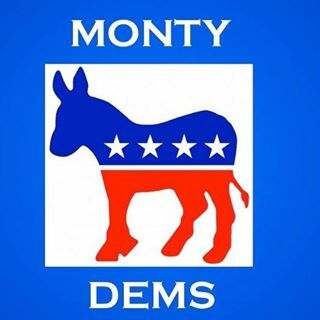 Montgomery Township currently has 27 seated district reps out of a maximum of 38 (in 19 districts). We also have one executive board member who is not a district rep who also voted. We received 21 responses to the survey, out of a total of 28 possible voters, or 75%. There was one abstention, and several people chose to only rank one, two, or three candidates instead of all seven. This means that some candidates received more ranking votes than others. The following is a breakdown of the number of each ranking value that each candidate received. 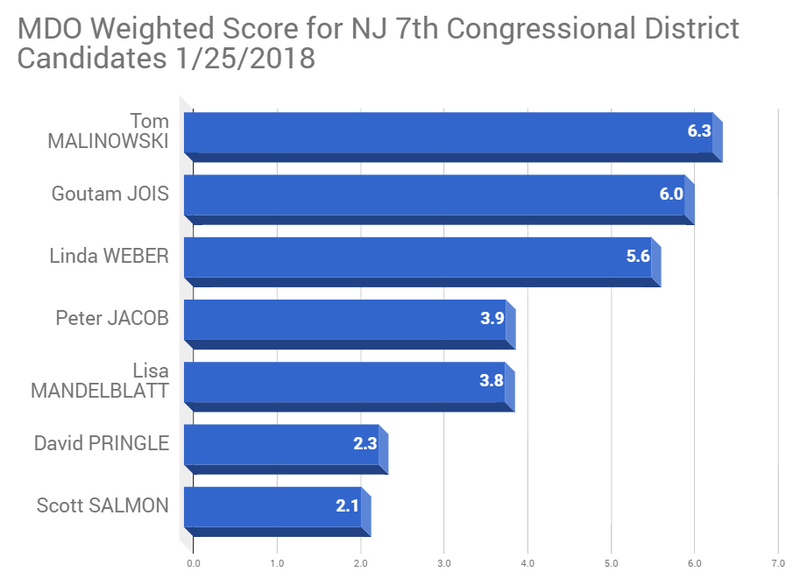 The previous chart indicates that not only did Tom Malinowski receive the most votes in total, he also received the most rank 1 votes, as well as the most rank 1, 2 and 3 votes combined. We tried several strategies to calculate a weighted score for each candidate. The initial method was multiply the number of each ranked vote by its weight, add them up, and divide by the total number of votes received by that candidate. The result is a score for each candidate that takes into consideration the ranking values. We tried a variety of different ranks, and in almost every scenario, Tom Malinowski received the highest score. Example weights are shown below (the above chart uses weight A). Note that in this method, when rank 1 and rank 2 are given the same weight (Weight D), Goutam Jois took a slight lead. 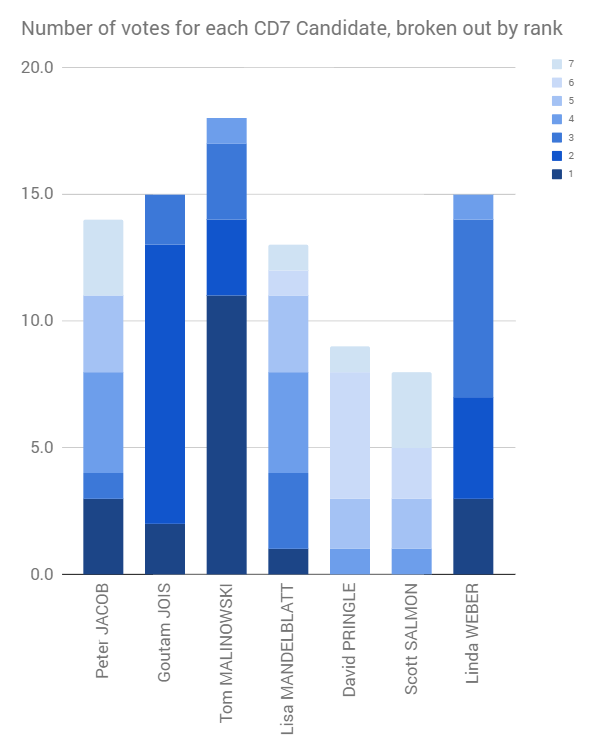 We also calculated the weighted score by dividing by the maximum number of votes (21 for all candidates) instead of the number of votes each candidate received (varies by candidate). This adds a positive bias to candidates who received more votes than others. Using this method, Tom Malinowski was the winner in every weighting scenario. Finally, we used the Kemeny-Young algorithm to determine the score, and this method also confirmed Tom Malinowski was the winner in Montgomery Township.